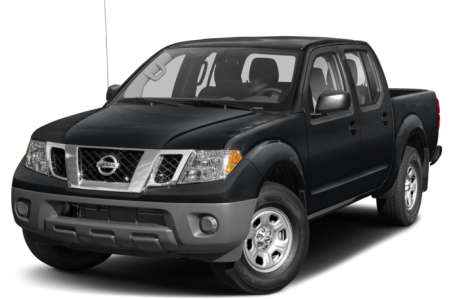 The 2019 Nissan Frontier is a light-duty, mid-size pickup truck. It competes with the Honda Ridgeline, Toyota Tacoma, and Chevrolet Colorado. Five trims are available: the S, SV, SL, Desert Runner, and PRO-4X. There are two available cab sizes: King (which seats four) and Crew (seats five). Crew models are offered with a choice of short or long bed sizes as well. Wheel options range from 15- to 18-inches and a factory spray-in bedliner is available as well.